Our product range includes a wide range of close loop water re-circulation system of vacuum pumps. With the support of skilled expertise, we are instrumental in exporting and supplying Close Loop Water Re-Circulation System of Vacuum Pumps. These pumps are widely accepted in the market for their high functional efficiency and sturdy construction as these are procured from highly renowned vendor. Furthermore, we supply our broad catalogue of products to customers in defect-proof packaging. 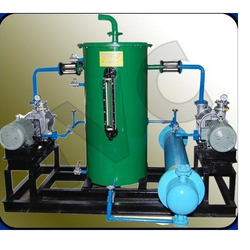 Looking for Close Loop Water Re-Circulation System of Vacuum pumps ?